Taxco is located 3.5 hours from Acapulco. 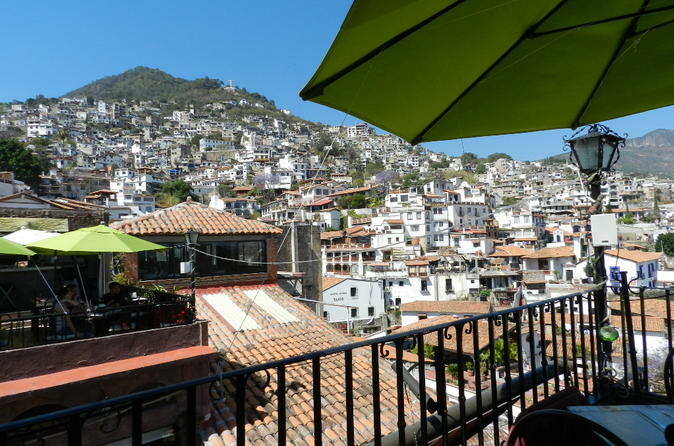 When visiting Taxco you will be amazed at the geographical beauty of the city. Taxco is a collector’s paradise where you can find anything from carved masks, baskets, paintings and silver to clothing, purses, and beautiful flowers. This is a full day tour that begins in between 06:30-07:00 a.m. right at the lobby of you hotel, ending at around 8:30 - 9:30pm. After a one hour drive, the tour will be stopping for breakfast (not included) at a restaurant in Chilpancigo. The tour will continue with a drive along the mountainside until you reach 5,000 feet and arrive at Taxco de Alarcón. Once at the city, there will be a few stops at a couple of silver stores where you will receive a short explanation about the silver jewelry industry and have some time for shopping. Afterwards, you will go on a walking tour of the city together with your guide. You will go to the downtown area by the cobblestone streets that wind narrowly up and down the hillside, until you get to the magnificent Temple of Santa Prisca on Borda Plaza, which was declared a National Historical monument. After visiting the monument, you will have some free time to grab lunch on your own before making your way back to Acapulco.